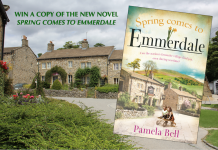 Mon 10 Dec 2018: Daz Spencer is riddled with guilt as the villagers talks about the hit and run. Tues 11 Dec 2018: A panicked Daz Spencer is desperate to escape and secretly looks into booking flights out of the country. 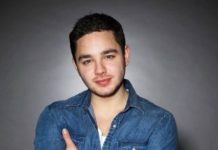 His exit is hampered when whilst trying to leave by bus to the airport he spots Kerry Wyatt has collapsed in the road. Tues 11 Dec 2018: Torn, Daz Spencer wonders if he can ignore what he’s seen but then his conscience kicks in and he takes Kerry Wyatt home missing his flight and knowing his escape has been scuppered. Wed 12 Dec 2018: Pete Barton tells Dawn he can’t leave her at the car park and prepares to take her back to the village where he offers to let her stay for a while. Wed 12 Dec 2018: Dawn gets the wrong end of the stick and tries to kiss Pete Barton. 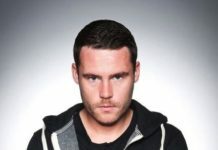 As Pete tries to process what has happened, Dawn threatens to tell Rhona he made a move on her unless he lets her stay. 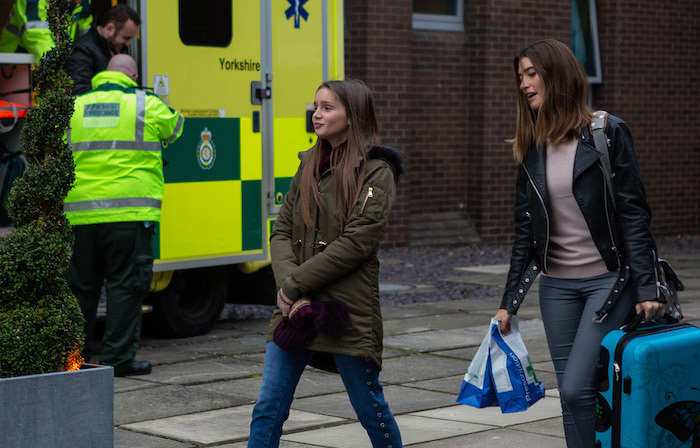 Wed 12 Dec 2018: Kerry Wyatt assures Amelia Spencer the police will find out what happened to the hit and run victim. 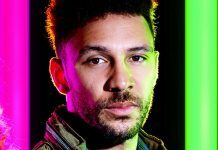 Wed 12 Dec 2018: Daz Spencer is silently panicked and trapped as Kerry Wyatt talks about the police. 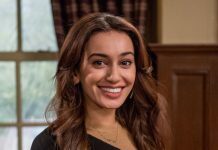 Wed 12 Dec 2018: Jessie Grant is soon worried her work could clash with her home life, when Noah Dingle is excluded from school. 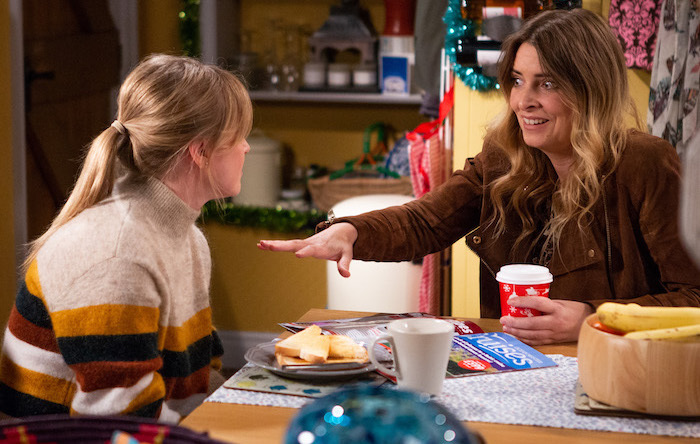 Wed 12 Dec 2018: Jessie Grant heads out, steeling herself for a showdown with Charity Dingle. 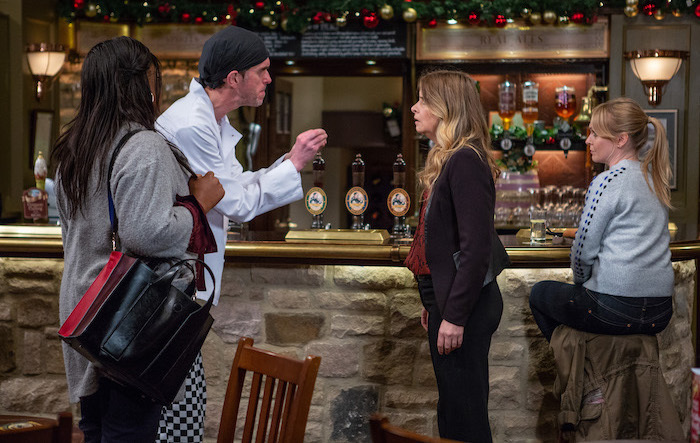 Wed 12 Dec 2018: When Jessie Grant and Charity Dingle come head to head, Marlon Dingle steps in but Charity knocks him down with a punch! 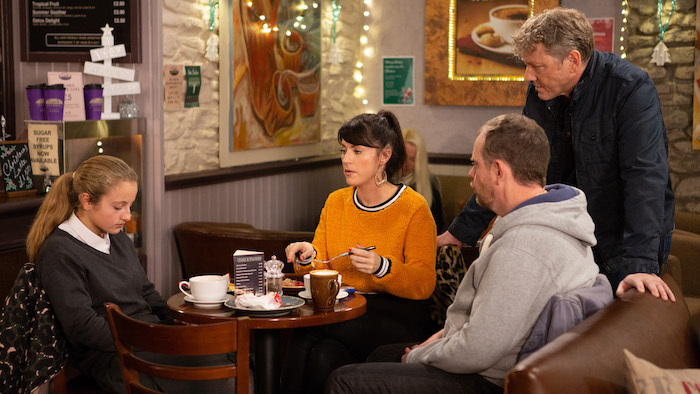 Wed 12 Dec 2018: How will Marlon Dingle react to Charity’s punch and will Jessie retaliate? Thurs 13 Dec 2018 – 7pm: Rhona Goskirk confronts Dawn having heard the truth from Pete Barton. 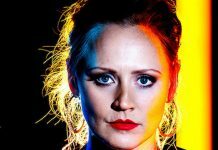 Thurs 13 Dec 2018 – 7pm: Will Dawn try and talk her way out of her lies to Rhona Goskirk. 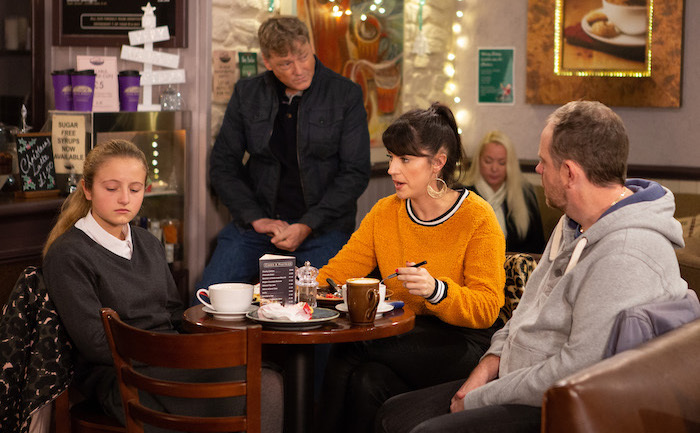 Thurs 13 Dec 2018 – 7pm: Dawn gets defensive as Rhona faces her with the truth. 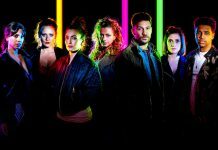 Thurs 13 Dec 2018 – 7pm: Dawn shoves Rhona Goskirk and mortified makes her escape. Thurs 13 Dec 2018 – 7pm: Pete Barton gives chase but Harriet Finch intervenes and is soon aghast to see Dawn, recognising her. 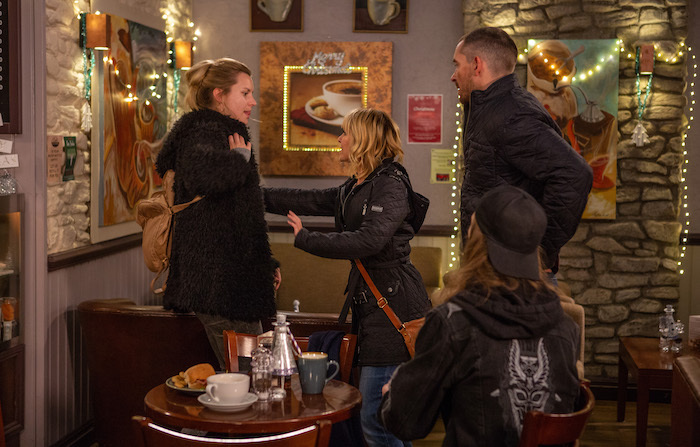 Thurs 13 Dec 2018 – 7pm: Rhona Goskirk is left with a black eye from her altercation with Dawn. 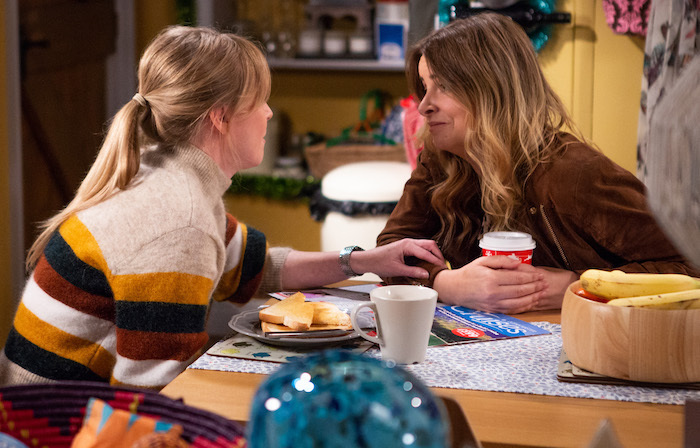 Thurs 13 Dec 2018 – 7pm: Charity Dingle and Vanessa Woodfield discuss living together and their new home. 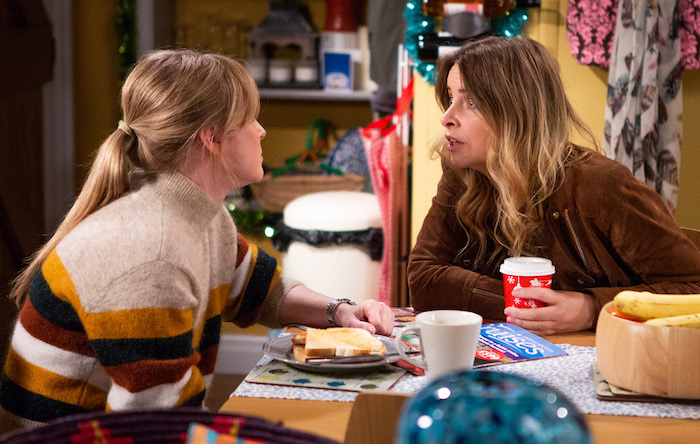 Thurs 13 Dec 2018 – 7pm: Charity Dingle’s delighted when Vanessa Woodfield agrees to move into the Woolpack. 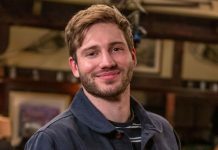 Thurs 13 Dec 2018 – 7pm: How will Chas react to having more people living in the Woolpack? Thurs 13 Dec 2018 – 8pm: Outside the Church, Dawn approaches Harriet Finch. She is shocked to see she is a vicar now. 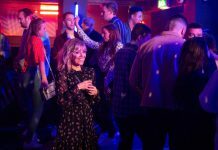 Thurs 13 Dec 2018 – 8pm: Harriet Finch pales as Dawn’s confronts her about their shared past. 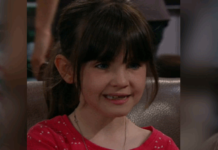 What is Harriet’s secret? Thurs 13 Dec 2018 – 8pm: Debbie Dingle prepares for Sarah Sugden coming home determined to focus on her daughter rather than the court case. Thurs 13 Dec 2018 – 8pm: Debbie Dingle is broken to think she may be separated from her children.